Thermoplastic polymers (such as polypropylene, polyethylene, polyvinyl chloride, polystyrene, etc.) are major constituents of municipal solid waste. Millions of tons of plastic waste are discarded each year, most of which is either incinerated or dumped in landfills. As an alternative, methods using these wastes as feeds for the production of value-added products such as fuels, carbon nanotubes, and porous carbons have been proposed by various researchers. In recent years there has been considerable research in the area of activated carbon production from plastic wastes and products with high surface areas and pore volumes have been produced. However, no literature survey has yet summarized the findings. Thus, herein, the studies pertaining to the production of porous carbon (such as activated carbon) from plastic wastes are reviewed for the first time. This review is organized on the basis of the type of plastic polymer used as the precursor. The first part covers various thermoplastics, whereas the second focuses more deeply on poly(ethylene terephthalate) (PET). This is because the majority of research in this area has used PET. The low carbon yield may make the production of porous carbons from plastic waste impractical. 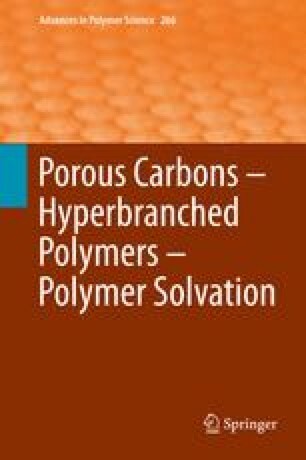 Hence, the authors suggest an alternative integrated approach for future studies so that porous carbons can be produced as a byproduct during the conversion of plastics to gaseous and liquid products.